Kara is an executive level coach who helps native and non-native English speakers with voice, speech and presentation skills to deliver an effective and impactful message. Her client base includes executives from Fortune 100 companies, health care, financial services, pharmaceuticals, education, ministry, and technology among others. As President and CEO of Speech Revolution, Kara’s work focuses on bringing peak performance to clients through the three key elements of delivery - body, voice, and text. By helping clients integrate and align these three elements she helps them to deliver a powerful, clear, and compelling message. Kara’s experience in stagecraft and the performing arts allows her to guide clients toward their personal power, adopt positive body language, and enhance their physical presence in front of an audience. By understanding and addressing the full body mechanics involved in sound production, Kara helps people to create, maintain, and enhance vocal energy, expression, tone color and range of the speech itself. By identifying the speech sounds that are a barrier to clear communication, she assists clients with the tools they need to bring clarity of speech closer to Standard American English and greatly improve their American accents. 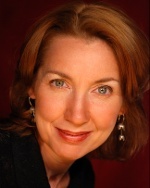 Kara has been a voice instructor, educator, and film and stage performer for over 20 years. As an educator she has designed and taught college level performance-based courses in music and communications. As a performer and featured soloist, Kara has sung a wide variety of music from opera to cabaret to the avant-garde in over ten different languages for audiences both large and small. She has also been seen in theatre, film, and on television. Her experience working with different languages and the techniques she uses in order to achieve this is what allows her to help others from different backgrounds to explore and master the nuances of Standard American English. Kara received her Master’s degree in Voice Performance from Arizona State University. She is a member of the National Speaker’s Association and is a board member of the Bay Colonies Chapter of ASTD.